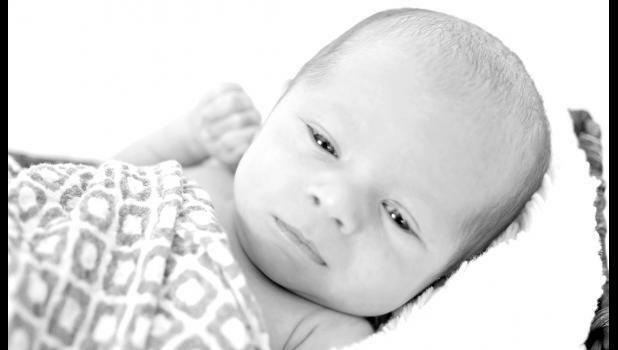 Scott and Taren Kirk are happy to announce the birth of their son, Hayes Andrew Kirk. Hayes arrived at 12:30 p.m. on Jan. 31, 2018, at Boone Hospital in Columbia, Mo. He weighed 7 pounds, 2 ounces and was 19 inches long. His siblings are Brayden, 2, and his twin brother, Braxton (the family’s guardian angel). Maternal grandparents are Dean and Peggy Tuley. Paternal grandparents are Ron and Theresa Kirk. Great-grandparents are Mary Ann Kirk and Lester Stallbaumer.